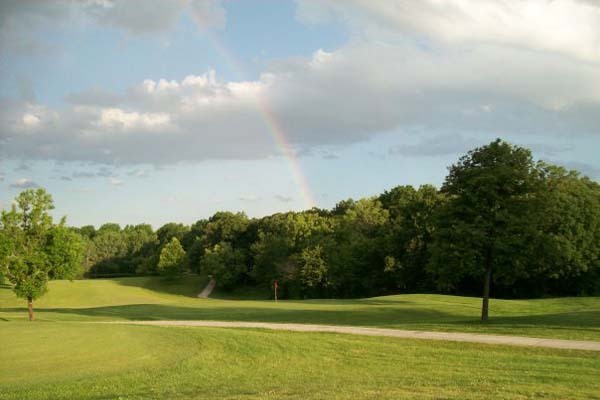 Sunflower Hills is one of the most challenging and affordable courses in the Kansas City area. 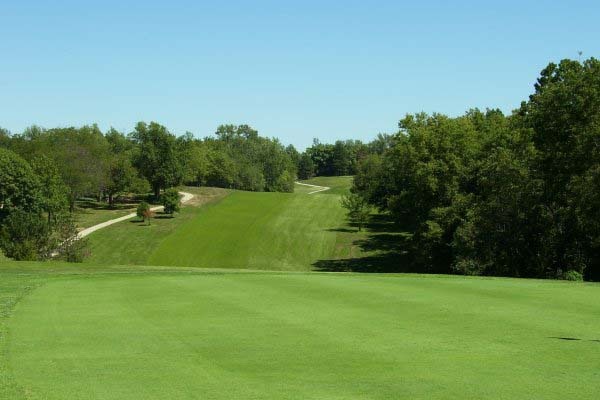 Opened in May of 1977, Sunflower Hills is an 18 hole championship golf course designed by renowned architect Roger Packard. Golfers of all skill levels will enjoy our challenging course. Measuring over 7,000 yards from the Championship tees, Sunflower Hills has five sets of tees, large rolling greens, zoysia fairways, numerous bunkers and water hazards. 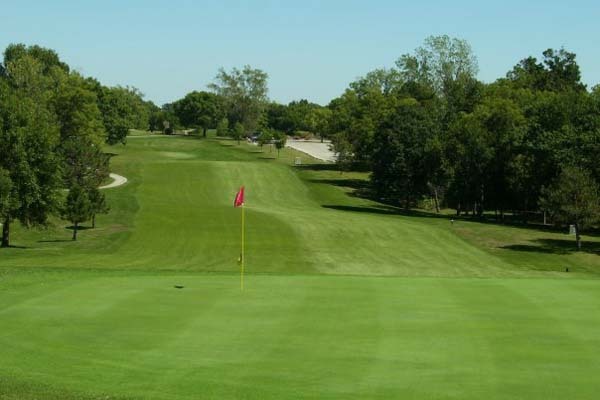 The course is open year round, and is located adjacent to the Kansas Speedway, Village West and is just minutes from downtown Kansas City, MO. 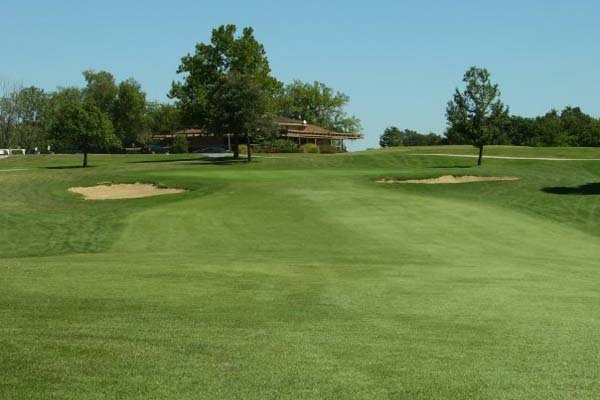 Whether you play or practice Sunflower Hills has what the golfer needs. 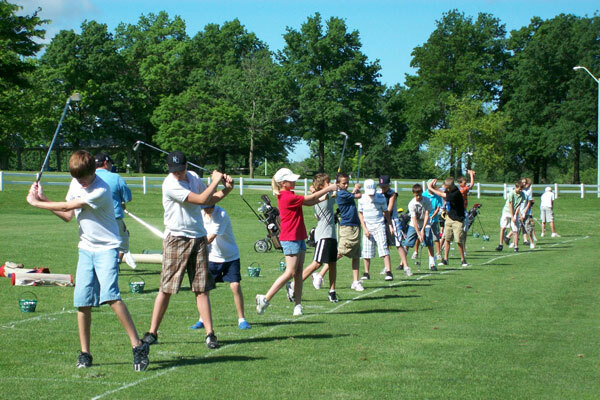 Our driving range has thirty stations to hit from with accurate targets and measurements. We also have one of the largest putting greens in the entire Midwest, providing the ability for the golfer to practice putts for all degrees of difficulty. There are also chipping and pitching greens and a practice bunker, allowing the golfer to hone their short game skills. Sunflower Hills has three teaching professionals on staff to help those in need of assistance to enhance their game. Sign up for our newsletter to get special deals! The Danny's Golf League will be held Monday evenings beginning April 29th. All events will be held at Sunflower Hills and will be teetime starts beginning at approximately 5:30pm. There is one time league fee of $45.00. Weekly Fee of $23 per Player which includes green fee & cart. 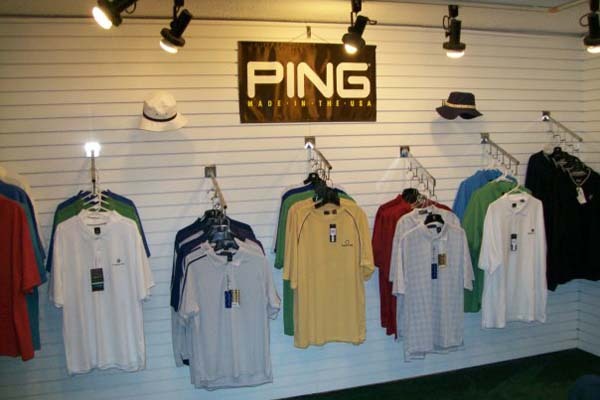 This 17 week league consists of individual and various two person formats. 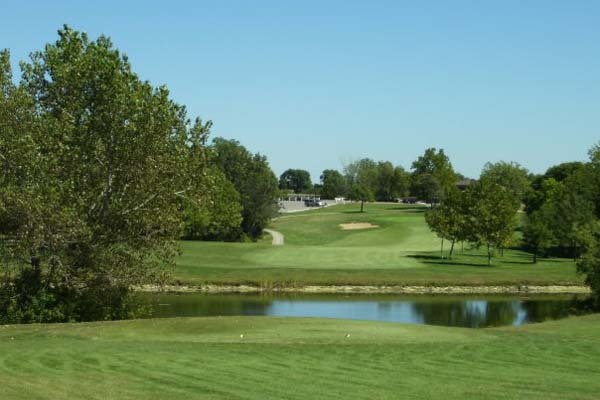 The GolfStatus 9 hole golf league is held Wednesday evenings beginning May 1st at Sunflower Hills with a 5:30pm Shotgun start. 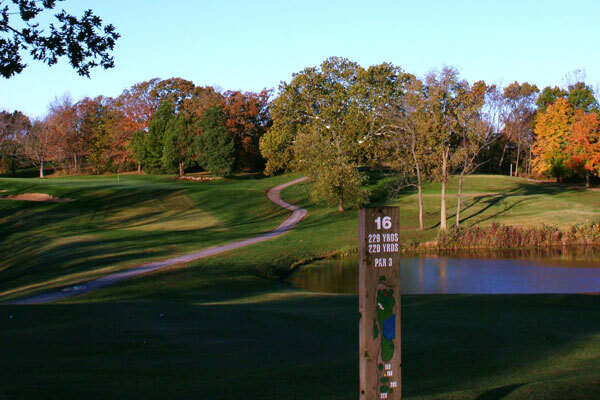 There is a one-time league fee of $45.00 plus weekly fees of $23 per player (green fee & cart). This 17 week league consists of various two person formats. Weekly Low Gross, Low Net & Proximity Prize Winners. Year end party with prizes will follow the last event. Sign up for this two person scramble. This event will have both low gross and low net divisions. Entry fee $20.00 (plus green & cart fees) includes prizes and dinner with beverages following your round. Entry Deadline is Wednesday May 1st (valid USGA handicap required).